MEBO Research supports RE(ACT) TMAU group on the RE(ACT) crowdfunding platform, a website specially tailored to allow the public to fund rare disease research projects which are unlikely to get funding elsewhere. REACT is part of the BlackSwan Foundation, a registered Swiss charity that has supporters (in name only) such as Eurordis who fund rareconnect.org. REACT is a very new project. It's first approved project for crowdfunding only opened for crowdfunding this week. Each research project has to be approved by REACTs scientific committee before it can be open to crowdfunding. It is expected that any project put to the committee should have a decision made within 3-5 weeks. REACT has a 10% admin fee from each donation to cover admin costs etc. Payments are via Paypal but you don't need a Paypal account. This is an opportunity to inform TMAU/FMO3 researchers of this opportunity, so that they may put their projects forward and if approved will be available for the public to fund. Each rare disease has it's own page on the REACT site. In our case Trimethylaminuria will be the natural page to gather in. Each group needs 15 members/followers in order for REACT to be satisfied there is interest in TMAU. People can sign up as 'patients', and esearchers can also sign up. Once the group reaches 15 members it is 'open for business' and researchers can then start putting projects forward. Each disorder (inj our case TMAU) also has a general fund that people can donate to. You do not need to be a member to donate. To sign up, you go to the sign up page and if you are a patient you would tick 'patient'. A dropdown list then appears and you would choose trimethylaminuira from the list. 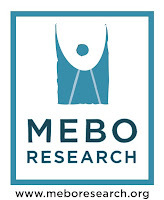 It is early days both for REACT and in what MEBO Research knows about the platform. But MEBO are satisfied REACT is genuine and an exciting new platform that may show a new model as to how research projects can be funded. MEBO fully supports RE(ACT) and encourages TMAU sufferers to sign up to the REACT TMAU group. MEBO is aware of one researcher who has an interest in the REACT platform although presently this does not mean any project would go ahead or be approved. Nevertheless it will be there for all researchers in the future to put projects forward. I would like to know if Grape Seed Extract contains DMB?